Are you looking for cheap diffuser or diffuser oil refills? Here at Latest Deals you can find the latest deals, sales and discount information, the hottest voucher codes and promo codes as well as guide on how to get the best oil diffuser in the UK while still staying within your budget. 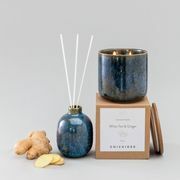 Argos Home Black Amber and Patchouli Diffuser - HALF PRICE! If you’re a newbie on diffusing and essential oils, we’ve put together an article to provide you basic information that can help you get going. From the different types of diffusers to its benefits and from where to get cheap oil diffuser to diffuser oil refills and what’s the best diffuser in the UK, we got it covered. In addition, we have the best possible diffuser deals, offers, sales, discounts and voucher codes posted and verified everyday by our massive community of bargain hunters. Essential oils came from the extract of flowers, leaves, resins and bark of plants. These concentrated substances have plenty of therapeutic benefits such as easing congestion, increasing your energy, help you to sleep better and improving overall health. The best way to use them is through diffusion. Our sense of smell plays a major role on how an essential can affect our body. As you breathe in the aroma of an essential oil, the receptors in your nose are stimulated. This, will then send a chemical message through his brain’s limbic system and nerve system. Your emotions, physical health and even mood are affected. This process is called aromatherapy. What are the types of aroma diffuser? Reed diffuser. Reed essential oil diffuse uses rattan sticks most of the time that have small channels for the essential oil to travel up the rattan stick and prove the room a wonderful scent. Electric diffuser oil. This type expose essential oil in the air without the need for heat. Once you drop an essential oil to its water or pad, its electric fan will blow air at the water or pad which disperses the oil into the air. Candle diffuser. Candle diffuser uses the heat of the candle to create diffusion provide diffusion throughout your room. This type cheap diffuser is a good option to give your home a nice smell but they do not give out optimum essential oil therapeutic properties since heat can affect the oils chemical properties. Nebulizer diffuser. This type breaks an essential oil into very small particles before scattering them into your room. It comes with a glass bottle or cylinder and motors. The therapeutic benefits are said to be increased because of the smaller molecules. Ultrasonic diffuser. This aroma diffuser uses electronic frequencies in order to produce vibrations in the water which then creates fine water mists with essential that’s released into your space’s air. Most people use it during winter helping humidify the room’s dry air. Where can I get cheap diffuser? Some reed diffusers at Argos are currently on clearance where you can get them for less than half their original price. You can get cheap diffuser here from Sainsbury’s for as low as £2. Most of their essential oil diffusers come with free delivery while some candle diffusers come with a great new price. You can find a wide range of Amazon UK aroma diffuser deals plus they have a list of the Best Oil Diffuser in the UK to narrow down your choices. Amazon Prime members also gets special offers on some of their best sellers. 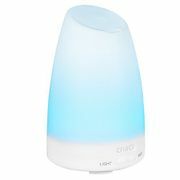 Amazon UK aroma diffuser deals include savings ranging from 49p to £2 while some of their electric diffuser oil are eligible for free UK delivery. You can also find diffuser oil refills offer here where you can save as much as £2.99. Make sure to check out other sellers’ deals on some of the items in order to get the best deal around. Cheap oil diffuser offers in Boots include a 3 for 2 on selected mixed home fragrances where you get the cheapest item for free. Always be on the lookout for diffusers marked with offer to get maximum savings on the retailer’s online shop. What are the benefits of an essential oil diffuser? It helps you to breathe easier. Wards of illnesses like cold and flu. A great way to combat persistent pain caused by sore joints, headaches and overworked muscles. Improve your overall cognitive function. It can keep you cool during summer months. The most popular type of diffuser is the ultrasonic as they have become inexpensive today. To use this type, simply put lukewarm water to its reservoir making sure to stay on the fill line. Put around 5 drops of your favourite essential oil on its reservoir before turning it on. It’s that easy. You can use it for about 30minutes 2 to 3 times a day or more if there’s a need to. There are models that comes with settings for intermittent settings to extend your diffuser’s misting time. Nebulizer diffusers use undiluted essential oils and is ideal when you are ill or experiencing body pains. Electric diffusers allow oils to just evaporate into the air if you only want for your room to smell nice in a natural way, this is the perfect choice.